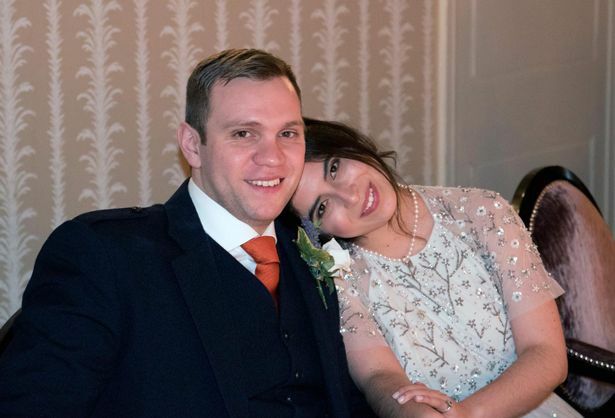 British academic Matthew Hedges is on his way home to the UK after being freed from prison. The 31-year-old boarded a flight to London in Dubai on Tuesday after receiving a presidential pardon. An official in the United Arab Emirates confirmed Mr Hedges was released after being jailed for life last week on charges of being an MI6 spy. The Durham University academic, originally from Exeter, was arrested at Dubai Airport as he tried to leave the country on May 5. It was revealed yesterday morning that he had received a presidential pardon for the crime – which he always denied. His wife Daniela Tejada said news of the pardon brought an end to the family’s “nightmare” while Foreign Secretary Jeremy Hunt described it as “fantastic”. At a news conference on Monday in Abu Dhabi, officials showed a video of Mr Hedges describing himself as a captain in MI6 during what appeared to be a court hearing – but his wife says he has been coerced and offered little legal representation. An official told reporters at the press conference in Abu Dhabi that Mr Hedges was “100% a full-time secret service operative” who was in the country “to steal the UAE’s sensitive security national secrets for his paymasters”. He said the Briton’s pardon came in response to a letter from his family appealing for clemency and due to the historical close ties between the UK and UAE. “His Highness has decided to include Mr Matthew Hedges among the 785 prisoners released,” the official said. In a statement, Ms Tejada, from Bogota in Colombia, said: “The presidential pardon for Matt is the best news we could have received. She credited media coverage, support from British diplomats, Foreign Secretary Jeremy Hunt, academics and members of the public across the world for helping to her husband’s cause. Mr Hunt said the UAE had made a “very important gesture” in pardoning Mr Hedges but described it as a “bittersweet moment” given that Briton Nazanin Zaghari-Ratcliffe remains detained in Iran, also accused of spying. He told Radio 4’s Today: “In a way it’s a bittersweet moment as in Iran, another country in the region, we have Nazanin Zaghari-Ratcliffe, an innocent woman who is still in prison for nearly three years now. “Indeed, there are other British citizens and other citizens from other countries also wrongly imprisoned in Iran also. UAE minister of state for foreign affairs Anwar Gargash said the pardon would allow the two countries to “return our focus to the underlying fundamental strength of the UAE-UK bilateral relationship”, the WAM Emirates news agency reported. Dr Gargash said: “His Highness the President’s gracious clemency in the customary National Day pardons allows us to return our focus to the underlying fundamental strength of the UAE-UK bilateral relationship and its importance to the international community. “It was always a UAE hope that this matter would be resolved through the common channels of our longstanding partnership. Professor Stuart Corbridge, vice-chancellor of Durham University: “It is paramount that he is now allowed to return home to Daniela and his family as quickly and safely as possible.